More Power than a Plaque? 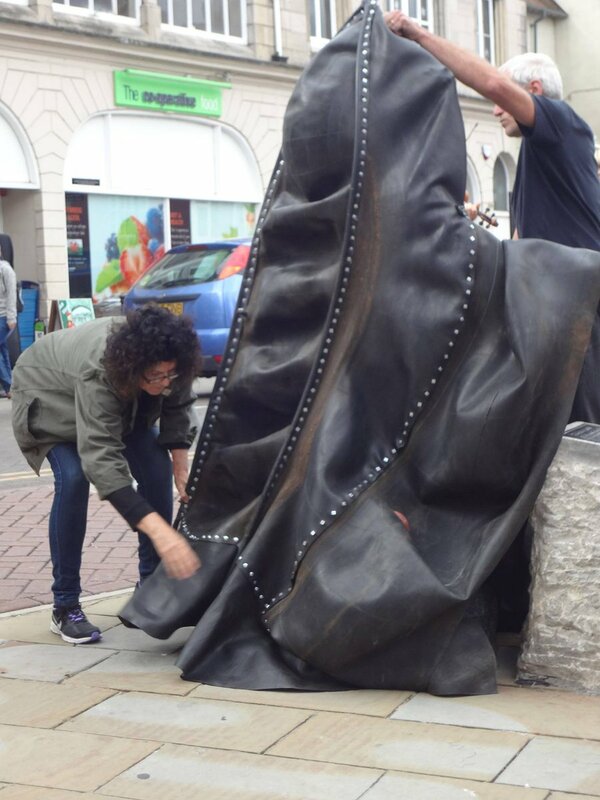 A group of artists, musicians and local residents will be taking part in a funereal march and ritual re-veiling of the Stanley statue – with an enormous rubber sheath - in Denbigh this Saturday. When a statue, erected in the past, glorifies a person or attitudes that have been revealed to be abhorrent there are a number of possible responses. One is to tear the statue down, another is to install an explanatory plaque ( as is being suggested in Bristol ) and then this most active and creative possibility; a ceremony or ritual. 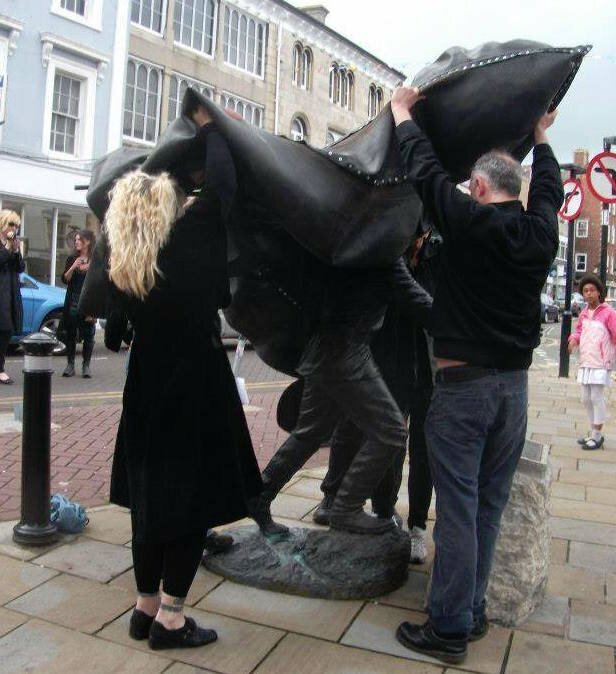 This year marks the seventh annual re-veiling of the HM Stanley statue in Denbigh High St that takes place every August. 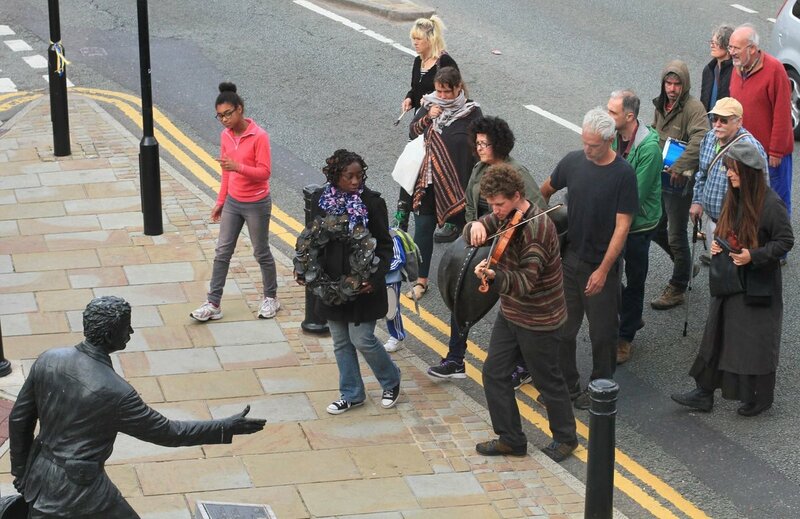 The dedicated band of artists and supporters who enact the ceremony will be celebrating new evidence that the yearly repetition of the ceremony is changing hearts and minds in Denbigh. 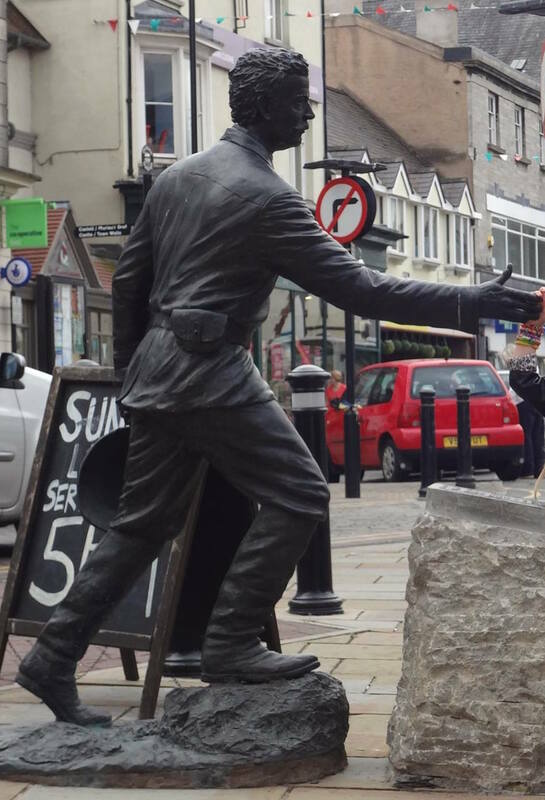 The event is organised by artist Wanda Zyborska on behalf of all those concerned by Denbigh council's decision in 2010 to glorify H M Stanley as an unblemished hero with a celebratory statue in the town. A widespread campaign of protest was organised in reaction to this decision, bringing together writers, academics (including some of the world’s leading experts on African history), African religious leaders, people of Congolese / African ancestry as well as individuals of a wide range of religious and political beliefs and individuals prominent in the life of Wales, and people involved in African aid organisations. “I created a black rubber sheath to ceremoniously fit over the statue as part of the annual funeral procession to draw attention to the millions of African people who died or were mutilated as a result of Stanley's exploits in the Congo rubber industry” said Wanda Zyborska. 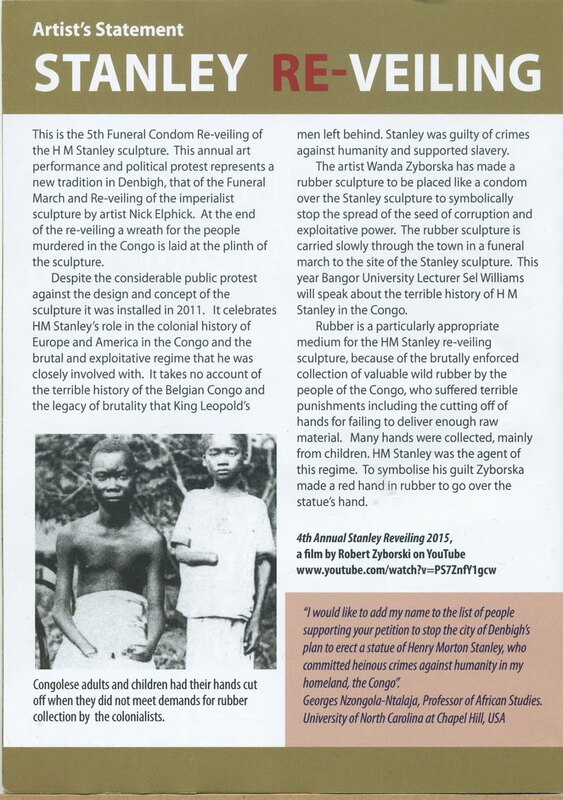 “We usually sing some African songs and people make speeches about Stanley: All are welcome”.